“Best ally of Putin,” said Tuesday’s front page of France’s sober-minded Le Monde. “Trump makes it easy for Putin,” echoed German’s Die Welt. “Trump 0, Putin 1,” said the Finnish business daily Kauppalehti, playing off the just-concluded World Cup soccer tournament in Russia. 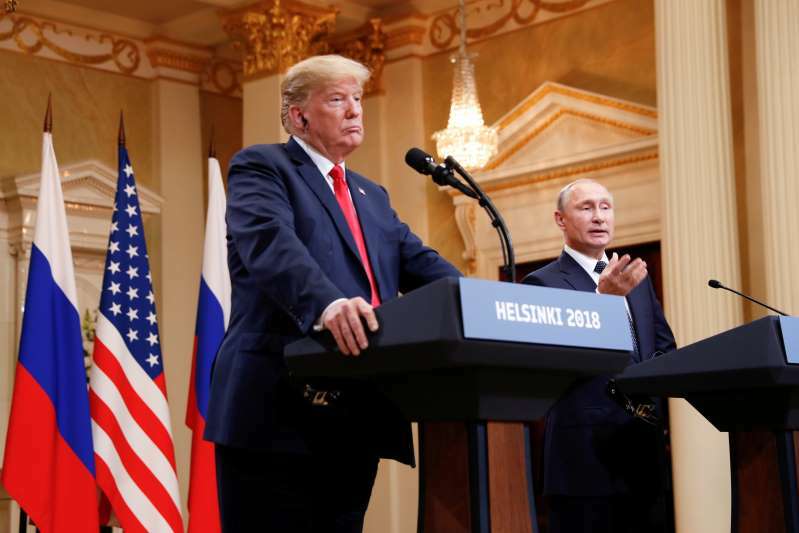 In globe-spanning day-after news coverage, Helsinki, the Finnish capital where Russian President Vladimir Putin and President Donald Trump met Monday, suddenly became shorthand for what was widely described as a very bad day for the U.S. president. But the summit’s impact lingered. Britain’s Guardian newspaper, in its lead headline on the Helsinki meeting, rolled out the T-word — “treasonous” — albeit in quotes. Corriere della Sera summarized Putin’s stance as asserting “zero interference” in the 2016 U.S. vote. “Trump believes him,” it added flatly. Some took a long view — and a gloomy one — of the summit’s still-to-be-felt repercussions. Italian daily La Repubblica saw a symbolic end to the rules-based postwar world order. “Do Trump and Putin have alternative plans to substitute it?” it asked in a front-page editorial. An op-ed in Le Monde called the Trump-Putin meeting a “dangerous liaison” for the entire world. In an op-ed, the Guardian said Trump was inadvertently prescient when he previewed last week’s swing through Europe by saying the meeting with Putin would be the “easiest” of his stops. “First rough up NATO in order to damage trans-Atlantic commitments,” said an op-ed summing up the president’s seeming mission. “Then stir things up in Britain in order to damage the EU, and, finally, play the cooperative statesman in his talks with the Russian president. “Or, to put it another way: bully, bully and cringe,” it said. Trump’s assertion that the United States and Russia could together address dire humanitarian conditions in Syria — where Moscow and the government of ally Bashar Assad have staged countless punishing airstrikes — were met with skepticism and derision by some human rights and opposition activists.